Welcome to the Indie Author Weekly Update. You’ll find information on blogging, Facebook, and book marketing. I hope you enjoy all of the posts this week. And if you live in Northern California, I hope you are dry and safe. Did you just publish your first book? It’s an exciting time, isn’t it? You’re probably thinking that now it’s time to market your book. To learn about how to market your book, you’re probably reading blog posts like mine and absorbing as much information as you can. Writers put so much energy into writing their books that they have little time to think about marketing them until the final edit is done. The first mistake writers make is that they focus solely on their writing and not on their marketing while they write a book. Sure, your writing needs to be top-notch, but if you don’t start to market your book early enough, it won’t matter how well you wrote your book. As soon as you have an idea for your book and start to write it, start your marketing. Solution: Find a reputable website developer and build a website. 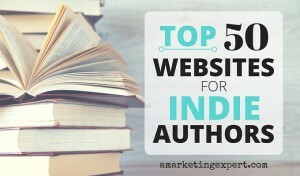 Here’s a post I wrote on author websites. Read it. If you need referrals to website developers, ask me. Start a blog. At this stage, you can blog about your writing process, characters you kill off, places where you write, and reasons why you write. think about your readers. Who are they? Why would they want to read your book? Look at Pew Research Centersocial media studies to determine which social media networks your readers use. Start to use at least one social media network that your readers use. Six months later, learn how to use another social media network that your readers use. This is a real problem that I’ve encountered with some clients. Publishing today, if you want to be successful, needs to include paperbacks, ebooks, audiobooks, and box sets. The more options you give your readers, the more ways they’ll have to buy what you write. When you start out in publishing, it’s preferable not to go wide. In other words, with your first and second books, limit your publishing to Amazon. Doing this will make your books eligible for KDP Select, which will enable you to discount your book to $.0 for five days each quarter. Also, when you are in the KDP Select Program, Amazon automatically enrolls your book in Kindle Unlimited as well as the Kindle Owners’ Lending Library, a collection of books that Amazon Prime members who own a Kindle can choose one book each month with no due dates. The KDP Select Program offers opportunities that new authors can benefit from. Once you write your third book, then go wide. In other words, use a service, such as Draft2Digitalto publish your books on iTunes, Kobo, and elsewhere. I used to think that. I figured that after all my research, writing, three editors, designers, etc., that it would be ludicrous to give my book away for free. As a new writer, you don’t have readers yet. One way to acquire readers is to give your book away for free. Sign up for KDP Select and use your free promotional days. Send free copies of your books to leaders in your niche and industry. Send copies of your books to bloggers and give away ten copies of your book on Goodreads. Before uploading your book to Amazon through Kindle Direct Publishing, learn about keyword phrases and categories. Here is a list of the BISAC codesyou need to know so you can find your categories. Also, learn about keyword phrases. This is an excellent postfrom Dave Chesson of Kindlepreneur about how to conduct your keyword research. Please don’t ignore Goodreads. It’s a social media network for readers. When you join, don’t use this channel purely for marketing. Goodreads, above everything else, is a network designed for readers. A good number of its users have graduate degrees. So when you join Goodreads, build your library of books you’ve read and write reviews regularly. Also, join a group and give some of your books away for free. As you write your book, get to know writers in your genre. After you publish, continue to meet other writers in your genre. Retweet them, share their blog posts, and help them to be a success. In other words, build a cooperative gathering of similarly minded writers who help each other find success. Too often, writers view social media as advertising channels. They aren’t. The essence of social media is that it’s social. Ask and answer questions. Find information that your readers would love that you didn’t produce. Social media isn’t about you and your books and blog posts. It’s about the community you build. Every book needs a letter to the reader. Some people put it in the front of the book, but most people include it after the last page. Thank your readers for buying your book and tell them how much it would mean to you if they would leave a review, especially on Amazon. A writer needs help selling her books. You can hire assistants or people like myself or publicists. Even if you hired those three categories of experts, you would still need a street team t.
Members of a street team receive advance reader copies of your books, they tweet about your books, post on Facebook about your books, and take a picture of your cover and put it on Instagram. In other words, these readers love your books so much that they talk about them and recommend them. They may even help you get speaking gigs locally. Do whatever you can to develop a dedicated street team. And treat them well. Give the members of your street team chachkies, free books, a kindle, or an Amazon gift certificate. These are your most dedicated readers, and they deserve your loyalty and special treatment. Welcome to the Indie Author Weekly Update. There are so many posts here for you to enjoy. Anne R. Allen wrote a killer post on guest blogging and Joan Stewart will show you how to make money aside from book sales. If you hold contests using Facebook, reading ShortStack’s post is a must. Enjoy the selection this week. What authors need to know about Snapchat by Sandra Beckwith: “According to a Pew Research Center study, Facebook is the fourth social network of choice for teens ages 13 to 17, after YouTube, Instagram, and Snapchat. 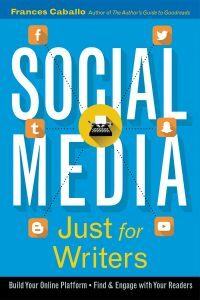 Only 10 percent of the teens surveyed say they use Facebook most often.” Note: Learn more about Snapchat by buying my book Social Media Just for Writers. When it comes to book marketing, there are some experts I rely on. You see, we’re all too busy to suffer through a bloated email account with notices of blog posts and products for sale mixed in with missives from friends. So probably like you, I limit incoming email as much as possible. What you’ll find below is a list of blogs you’ll want to subscribe to. There are more blogs that are worthy as well but I thought I’d cut my list off at an easy dozen. Here’s my list of experts I follow. Jane Friedman is perhaps one of the smartest people in publishing today. She’s been featured on The New York Times, The Washington Post, NPR, PBS, CBS, the National Press Club and Publishers Weekly. She previously worked with Writer’s Digest. She teaches, is often a keynote speaker at writer’s conferences, and writes books. Her blog is among the most read in the industry. Thriller author Joanna Penn readily shares her vast amount of writing, publishing, and marketing experience with her readers and listeners. Joanna has been blogging for quite some time, and she started podcasting back when it was known as audio. Her podcast, well worth subscribing too as well, features every great expert in the industry. If you read and listen to Joanna often enough, you’ll soon be a bestselling author as well. Started by traditionally published Orna Ross, Alli is a global, professional association for authors who self-publish. The organization brings together authors, services, and trusted industry professionals and offers educational opportunities for its members. Be sure to subscribe to its blog. Author and book marketing expert David Gaughran always seems to know what’s hot in author marketing. He’s written excellent posts on BookBub ads, Facebook ads, and Amazon ads. If you want to learn how to become an expert book marketer, pay close attention to this guy. His books include Strangers to Superfans and Let’s Get Digital. Yes, Anne can have a snarky tone to her writing, but that won’t dissuade you from reading her blog, which she publishes with Ruth Harris. So far, she’s written 21 books and so has sage advice on writing, which she shares on her blog. Guests fill in on the other weeks with marketing advice. This is a must-read blog. Welcome again to the Indie Author Weekly Update. Today, you’ll enjoy a lengthy post on LinkedIn, blogging and book promotion. I hope you enjoy them. Welcome to the Indie Author Weekly Update. The theme this week is marketing. There’s information on book launches, PhotoFunia, and Seth Godin’s marketing in five steps. Enjoy all the posts.